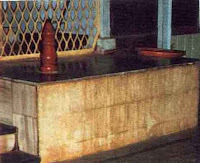 Kusha Bhav was the name given to Krishnaji Kasintah Joshi, by Sai Baba, who used to address many of his devotees with a name that had some meaning with that particular devotee. 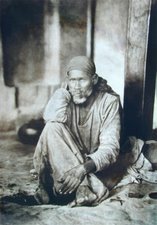 In the book the immortal Fakir of Shirdi, an interview with Kusha Bhav is given. In the interview first two pages Kusha Bhav talks about himself of how he was born in a poor family and was drawn to spirituality. He worked under a Guru named Datta Maharaj and learned Yogic Asanas, pranayama and rousing of Kundalini Shakti. 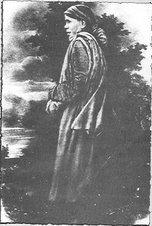 Being young and motivated by the societal madness to accumulate power, he was not satisfied with what he was learning and coaxed his guru to impart him occult and psychic powers, through mantras. His guru showed him the way for it reluctantly, Kusha Bhav wore and iron bangle and repeated the mantras meant to attain occult powers and succeeded. One of the powers he had was to repeat a mantra and produce a desire object like pedha (milk sweetmeat). These articles thus produced could not be used by him and had to give them away to the people asking for the same and getting amused by those little powers. By the young age of 22 years he was armed with this magical powers. This time his guru decided to leave for the Himalayas and spend the rest of his life there. 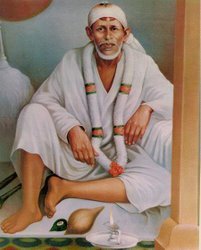 He was taken up to Delhi and then guru parted his company telling him that there was one Sai Baba of Shirdi, to whom he (Kusha's guru) referred as his elder brother, Kusha Bhav should go to him and do as directed. 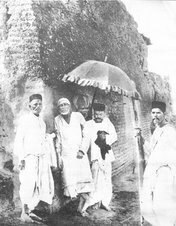 In 1908 A.D. this led Kusha Bhav to Shirdi. He said that Sai Baba would not allow him to be with Him, until he broke the iron bangle charged with occult power and stop the article production in bare hands to amuse and some level admiration of the people. 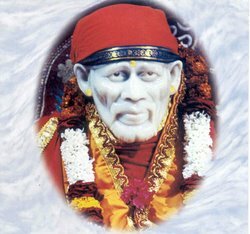 He did so and had beg in Shirdi for sustenance. 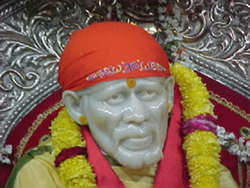 Sai Baba later blessed him with the powers to produce sacred Udi from his bare arm after an interesting incident. Kusha Bhav demonstrated this powers by producing udi from his bare palms and giving it to I.B.V.N Swami and Mr. Avasthi, who were interviewing him. 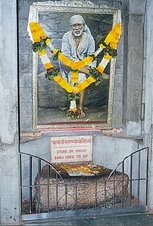 Sai Baba asked him to sit in a corner of the Masjid and read Dasabodha during the day, which he did. Kusha says that those were the days when the crowds from Bombay (Mumbai) and other places were not visiting Shirdi. 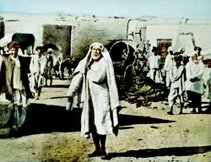 Sai Baba used to be approached by villagers for the remedies of trifling complaints like stomach ache, headaches and fever, for which Sai Baba used to give them Udi from the ever burning Dhuni in Masjid. (To the devotees) "By 'siddhi' I mean the attainment of the spiritual goal and not one of the eight occult powers. About the occult powers, Sri Krishna said to Arjuna, 'Friend, if you find anyone who has acquired even one of the eight powers, then know for certain he will not realize Me.' For powers surely beget pride, and God cannot be realized if there is the slightest trace of pride.